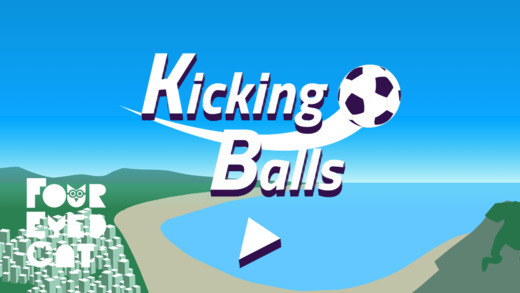 Kicking Balls is an iPhone game developed by Four Eyed Cat. While this soccer game features a child protagonist, it will still appeal to footie fans of all ages. 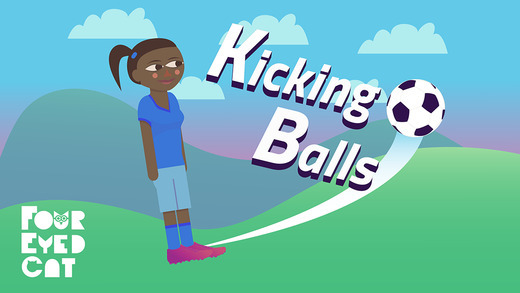 Kicking Balls is the story of a young girl from the favelas trying to rise to soccer stardom. You must master your soccer skills in a poverty-stricken environment before you can progress further in your young career. For anyone who was moved by the recent World Cup, this game is sure to tug at some heart strings. The controls are really simple, but they do take a certain level of finesse to manipulate correctly. Expect to have a few sessions of trial and error before you can totally master the fine art of kicking a goal. There are nearly 50 levels for you to master, giving the game pretty decent replay value. Still, a few more levels would be a welcome addition at some future date. Some users have reported crashes, but I didn’t experience any during gameplay testing. There are some negatives beyond those reported crashes, however. 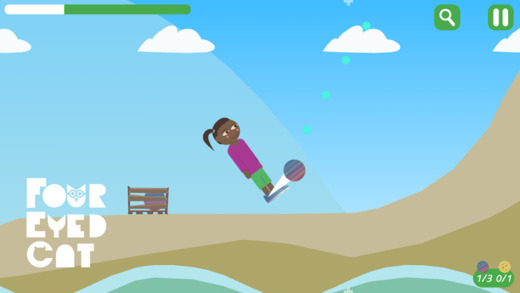 For example, some players may find the game’s graphics to be a little on the cartoony side. If you’re looking for a soccer game with ultra-realistic graphics, this ain’t it. While the graphics may be too simple for some, and the controls a bit tricky to master, Kicking Balls still has a great heart and a wonderful story. Therefore, it gets a Tapscape score of 8 out of 10. If this game sounds appealing to you, we advise you to grab it now. 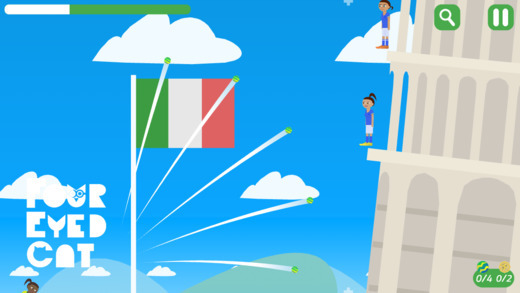 Kicking Balls is currently 50% off, but only until the start of the football season in Europe. Want to learn more about this game? Check out the official game website here. Kicking Balls requires iOS 5.0 or later. Compatible with iPhone, iPad, and iPod touch. This app is optimized for iPhone 5.